I don’t know about you but when I have fresh suit on at the track, I automatically gain a couple seconds per lap. Throw in a high-vis colorway and now I am too fast for even the camera guy to catch. Before I know it, my knees and elbows are sliding across the track. It might be mental but I think it’s more than that. If you want to experience this for yourself, check out the new Alpinestars Atem Race Suit! The new Atem Race Suit has been updated for Fall 2015 and it’s more comfortable and protective. Alpinestars accomplished this by updating the stretch panels as well as the 3D mesh bubble liner. For protection, the Atem now features high end Beltac armor and it actually has hip protection which is commonly overlooked in race suits; my right hip is still bruised from a crash I had two weeks ago. Along with that, the stitching throughout the suit has been beefed up as well. 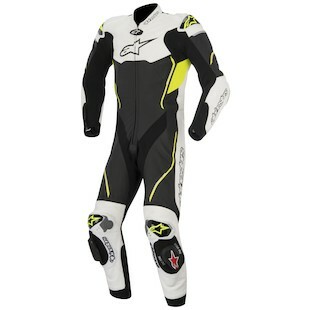 Alpinestars didn’t leave out the 2-piece suit fans either with the new Alpinestars Atem 2-piece Race Suit. The suit keeps all of the same features of the previous generation Atem such as the race fit, DFS Shoulders, ventilated speed hump and localized perforation. 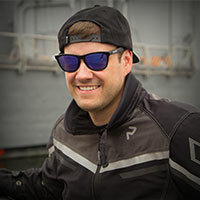 This option would be perfect for the guy that doesn’t want to lug around the top of his suit at the track or when he stops for grub during his weekend ride. Not everyone gains a couple seconds when they get a new suit like I do. However, the saying still holds true “If you’re not fast, at least look fast”. 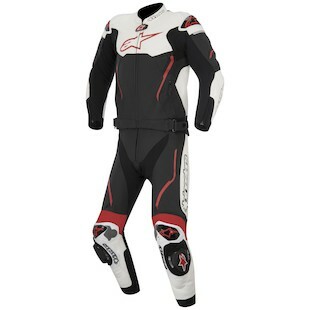 The new Alpinestars Atem Suit can accomplish both for you.